& all the good stuff we dream of! Phlox Dragon Designs You are here! Thanks, Tracey, this is beautiful! Love the colors! Cute flowers! Thanks so much for your part of this Blog Train! soooo pretty! than k you! Thank you for your gorgeous contribution to the January DSF blog train! I love these colors. Happy New Year! Thanks for the goodies! Great use of textures, thanks for the kit. Have a Happy and Healthy New Year. Love your papers. Happy New Year and thank you! Thank you so much for your part of this awesome blog train ! Awesome post and very beautiful flowers with new thought. New Store at Plain Digital Wrapper! 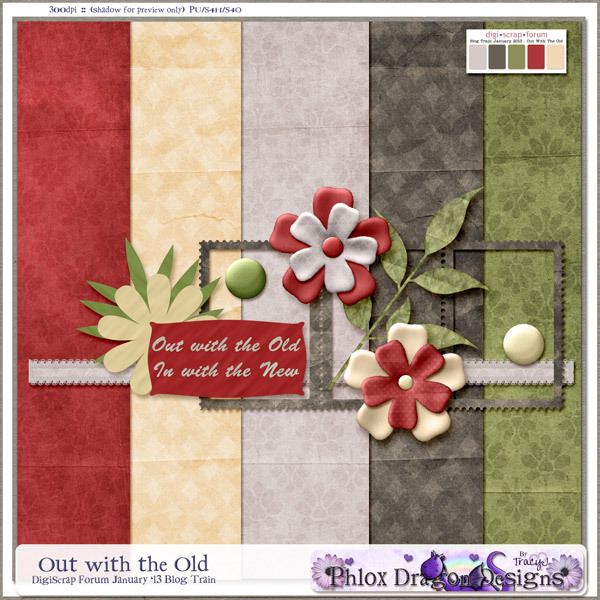 My Life : January New from Phlox Dragon Designs!